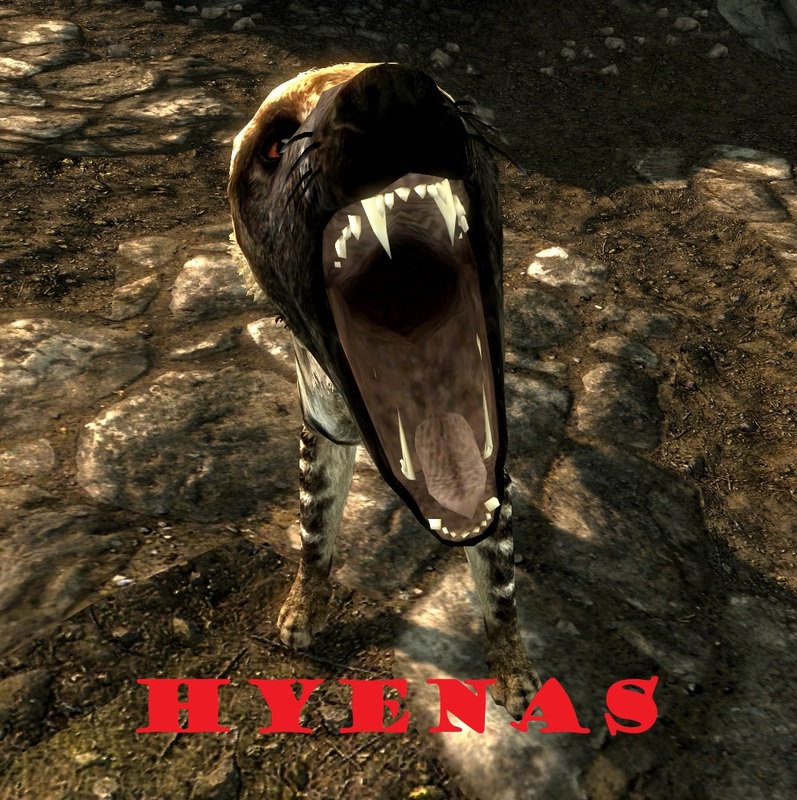 To obtain these Hyenas, simply buy scrolls found with Belethor in Whiterun (in the Belethor’s General Goods ). Now open up your inventory, navigate to “Scrolls” and there they are. You throw them and when they hit the ground they hatch into Hyenas. 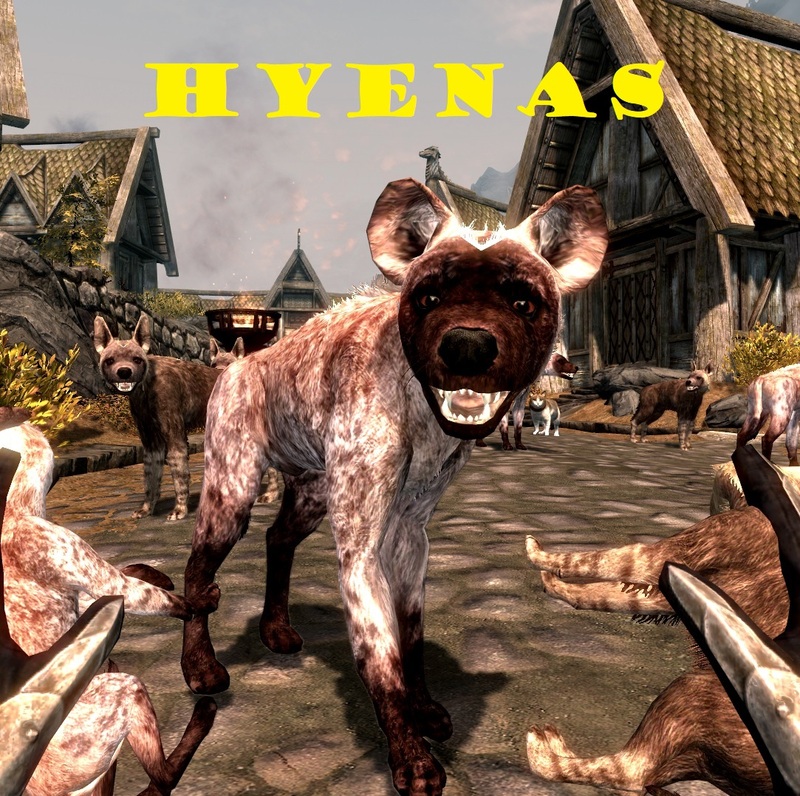 Warning: This mod replaces most Skyrim’s wolves with hyenas. However, you may encounter some problems or bugs (impossible to check everything). Please report them here !